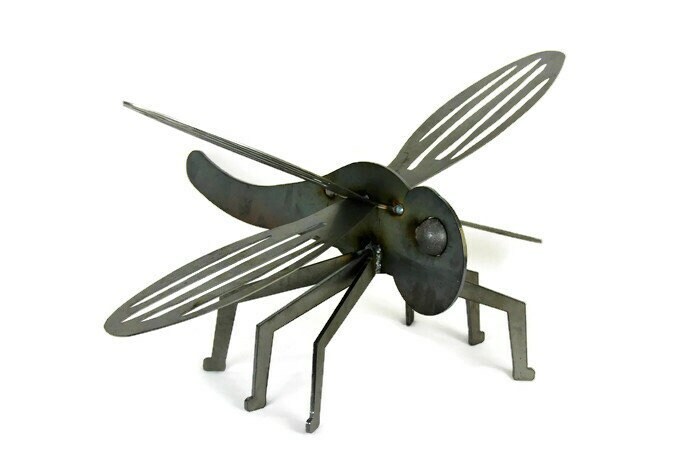 Dragonfly Sculptures are cut from thick, heavy steel. 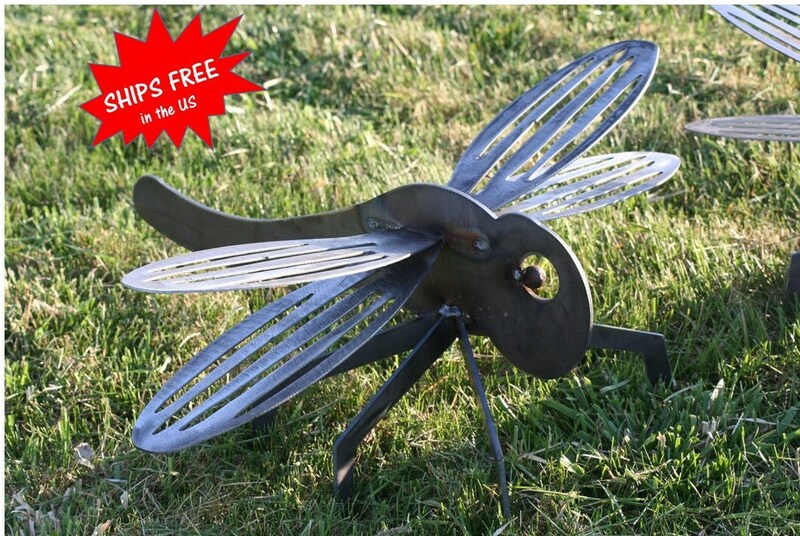 This heavy-duty piece of landscape art is a lifetime purchase! 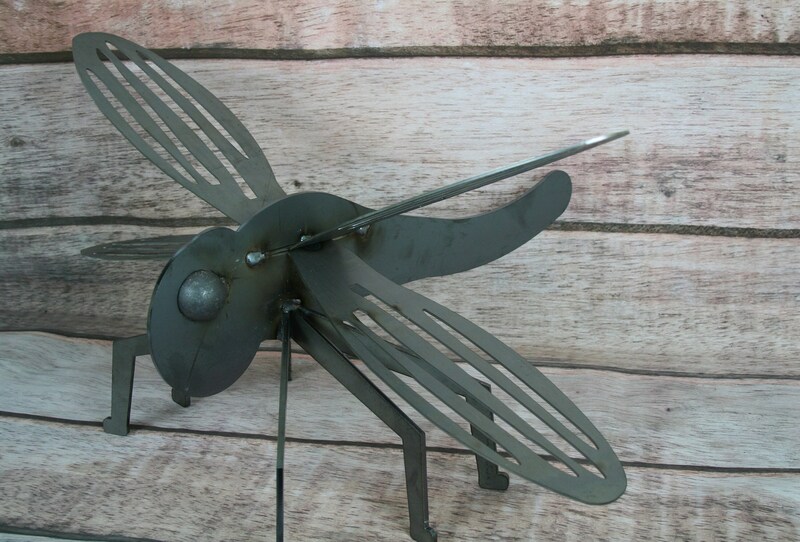 Makes a great gift for any gardener. Excellent housewarming gift! 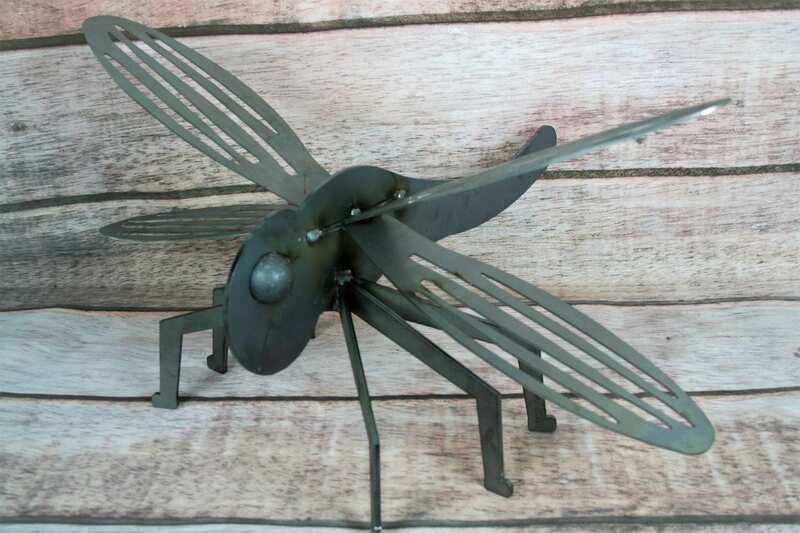 These beautiful dragonflies will patina with time outdoors. 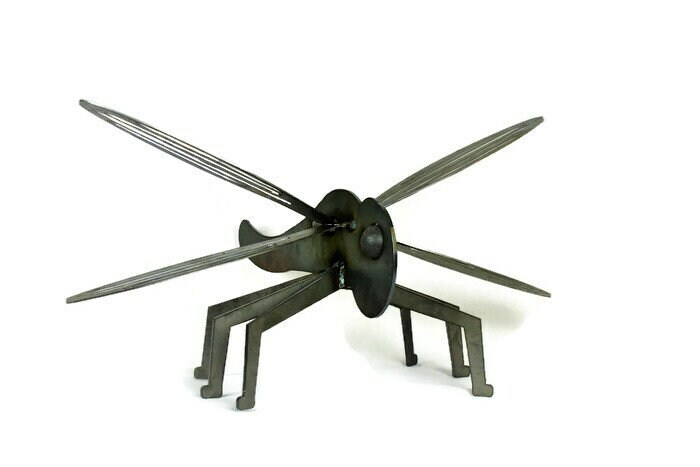 The thick, sturdy steel is made to last for decades! 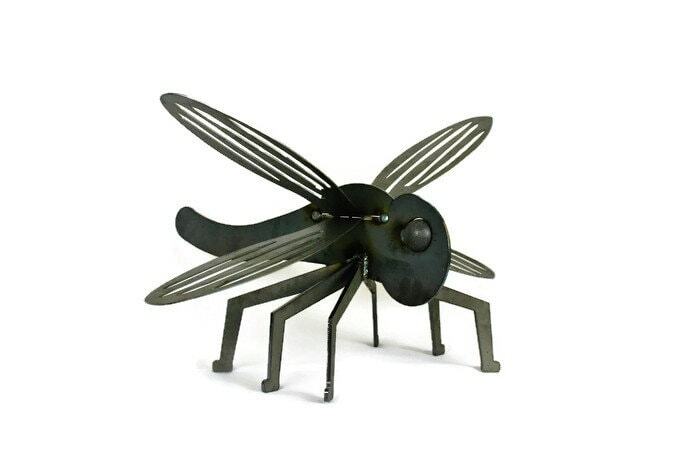 Big bug statue has a 26" wingspan. 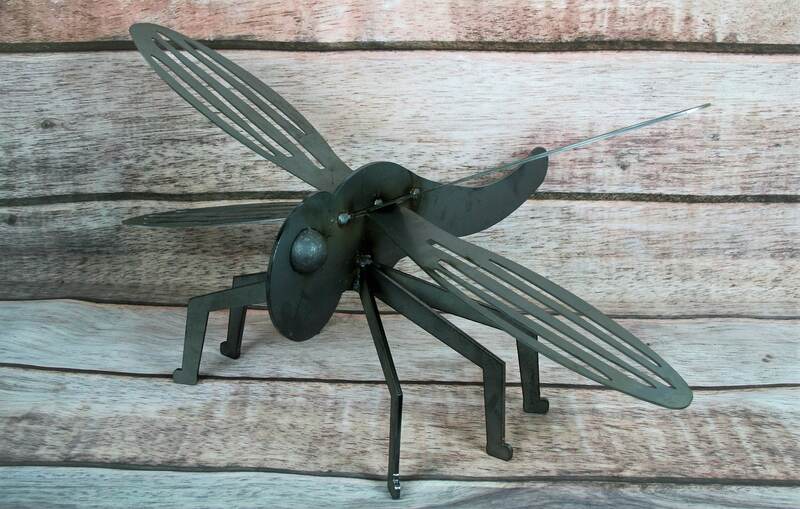 These fun dragonflies are 10" tall. 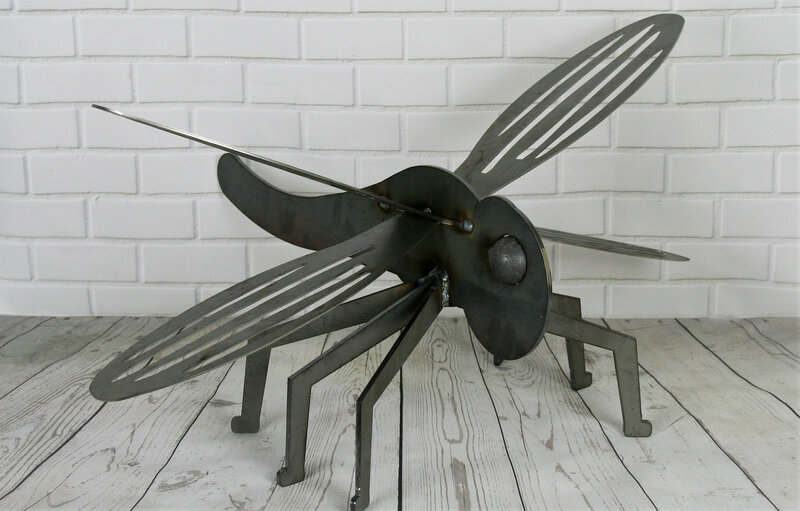 It's a large piece of art perfect for any landscape. Dragonflies ship for FREE! No additional surprises at checkout. 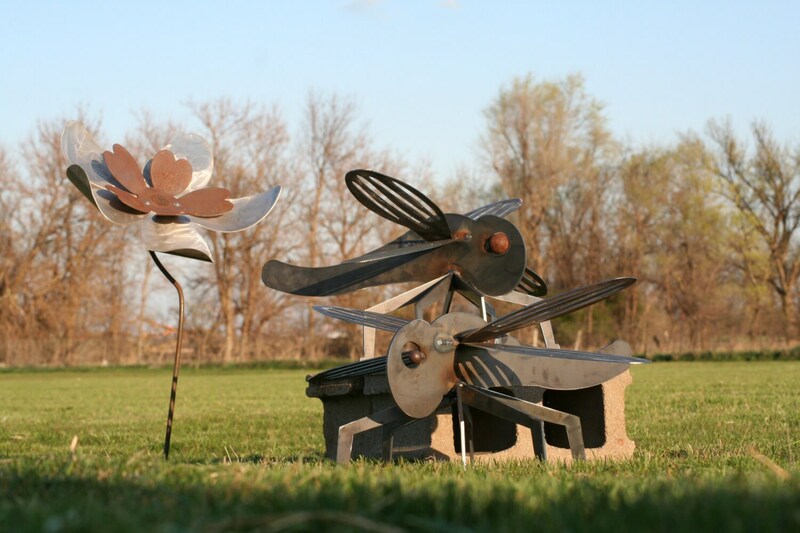 We hope you'll love our garden sculptures as much as we love creating them! 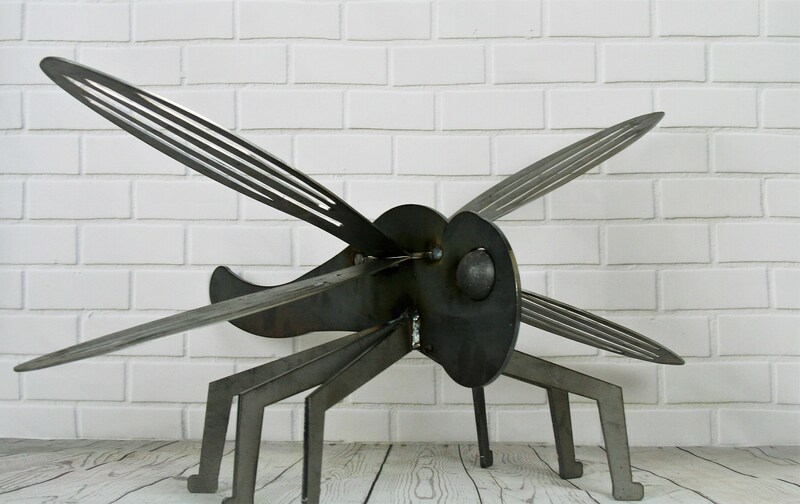 Each is unique in its own way so you'll receive a one of a kind lifetime piece of art.